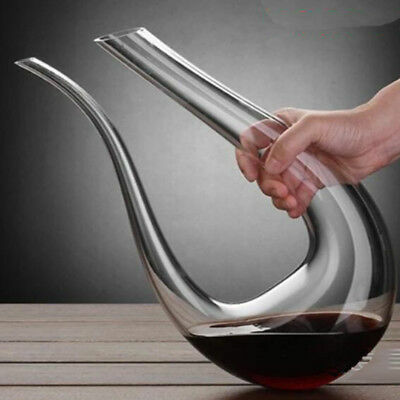 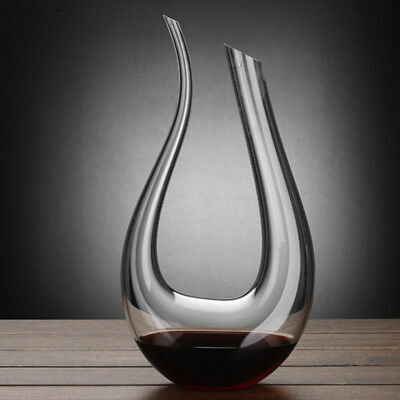 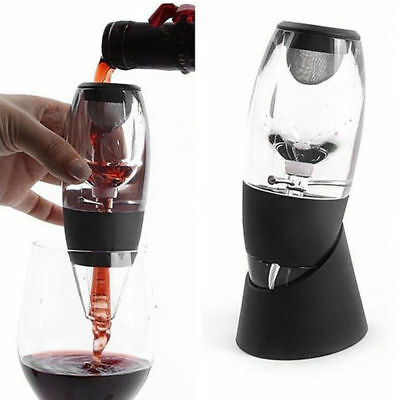 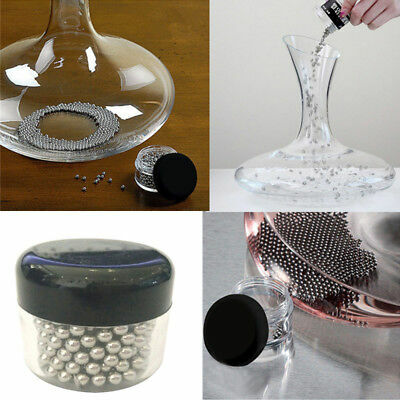 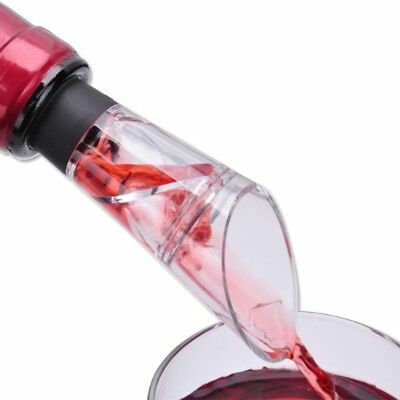 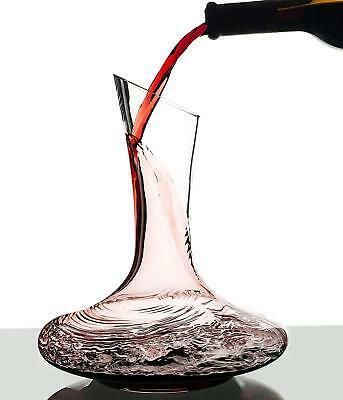 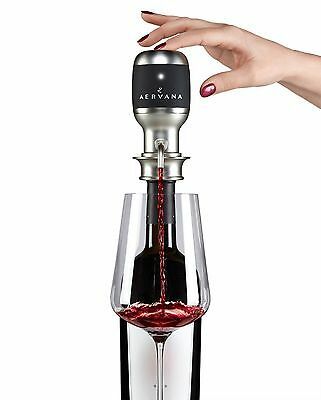 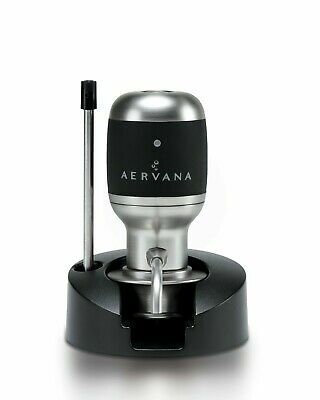 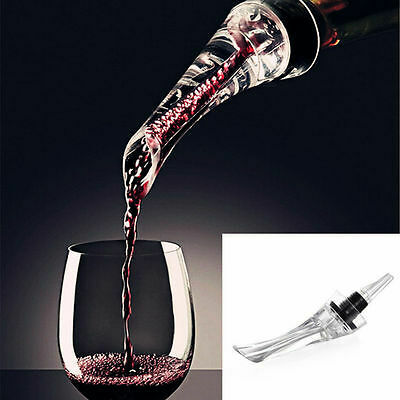 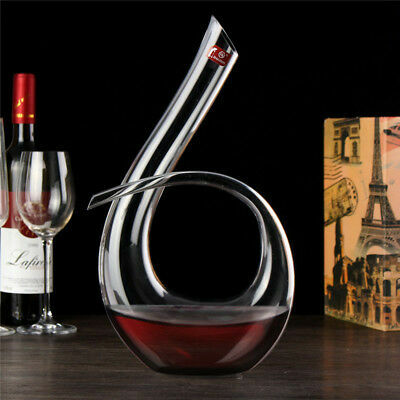 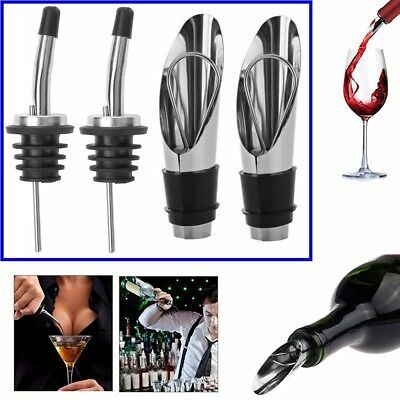 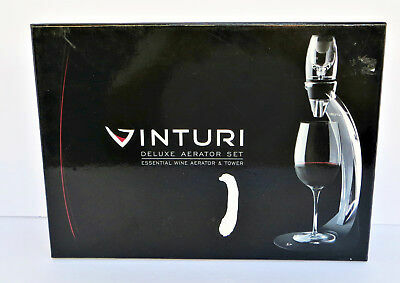 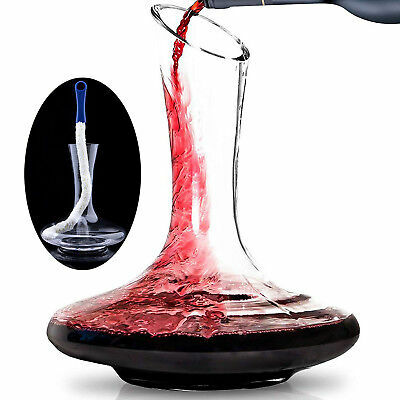 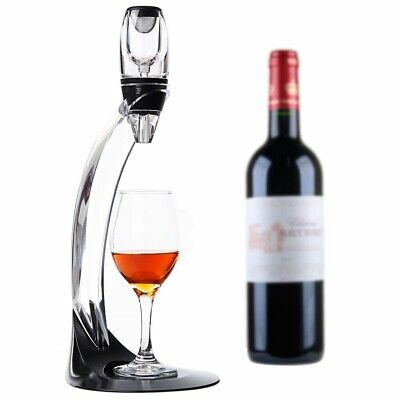 Aervana, one-touch luxury wine aerator and dispenser. 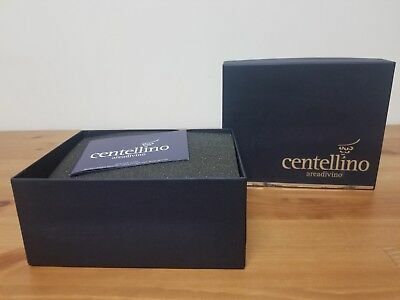 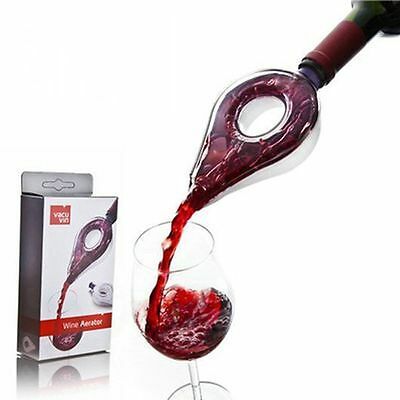 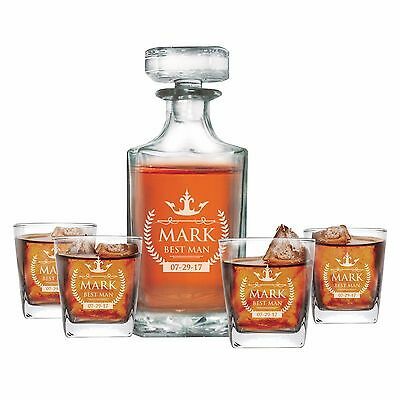 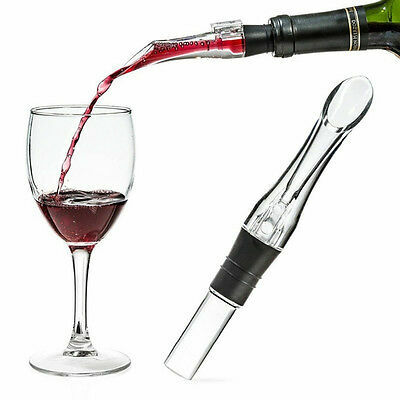 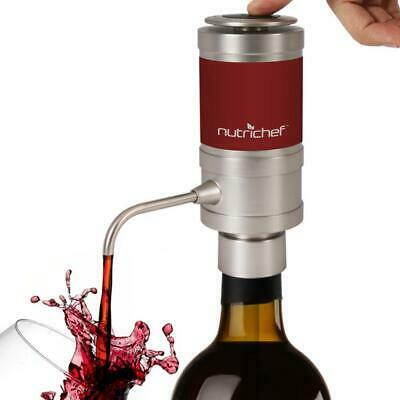 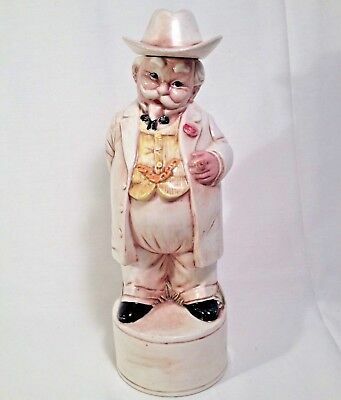 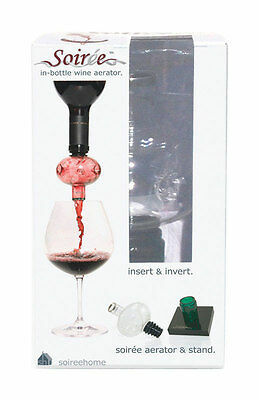 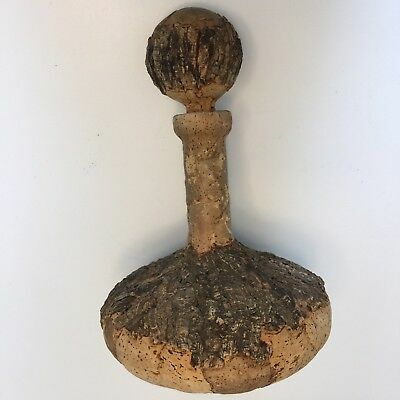 Award winning wine gift! 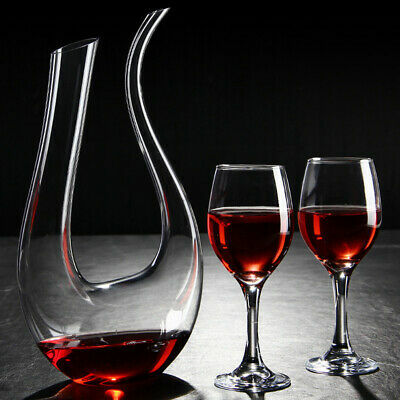 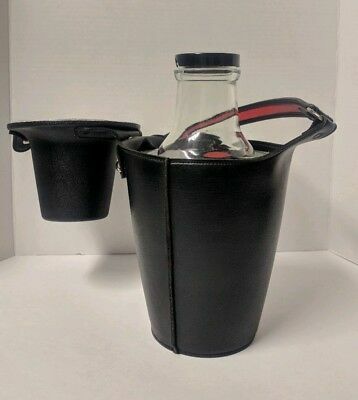 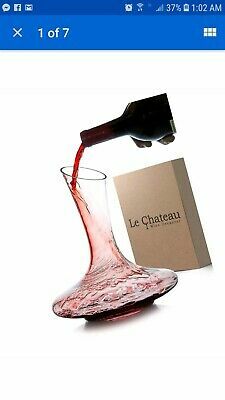 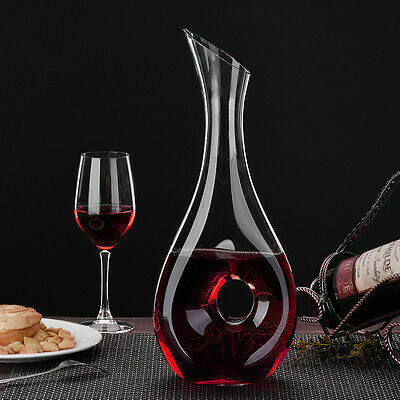 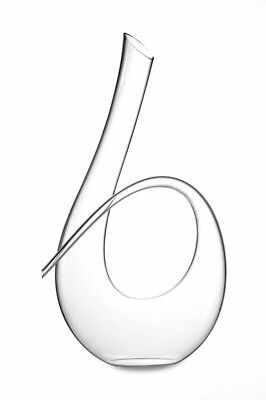 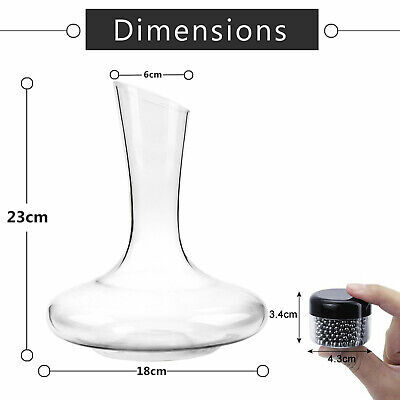 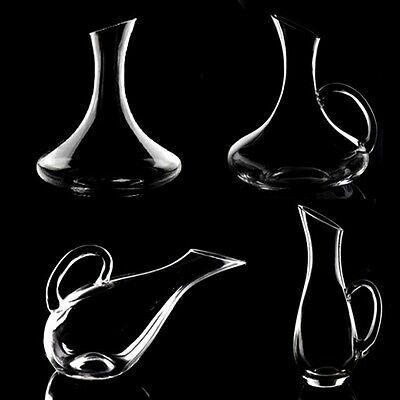 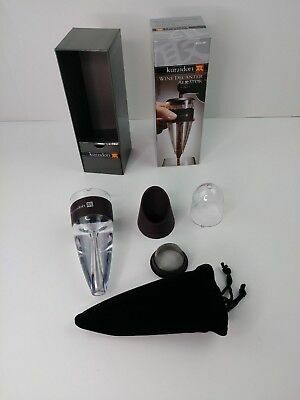 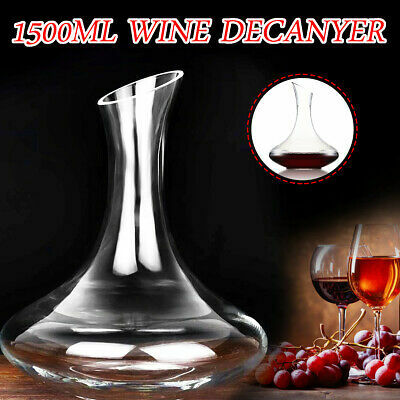 Riedel Crystal Red Wine Syrah Open Decanter 1430/13 Germany 49 3/8 ounce 9 3/4"
Whiskey Carafe Lead Free Decanter Liquor Crystal Scotch Vintage Stopper 23 Oz. 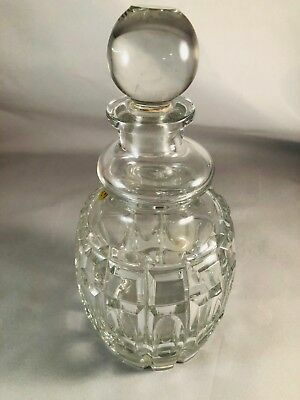 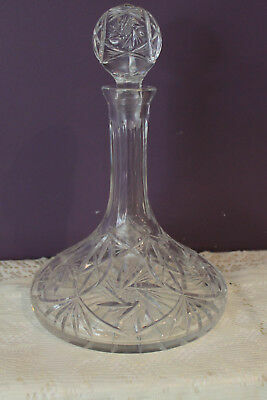 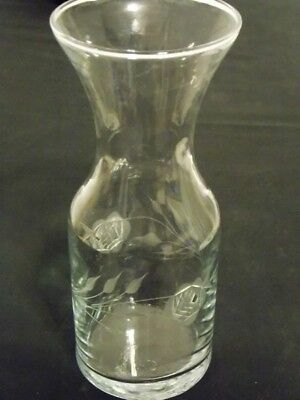 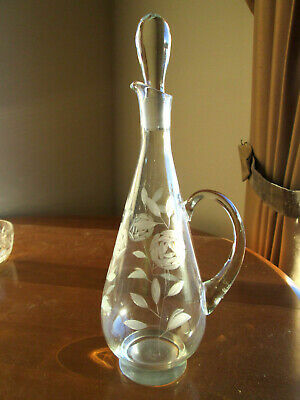 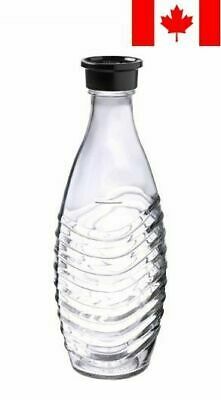 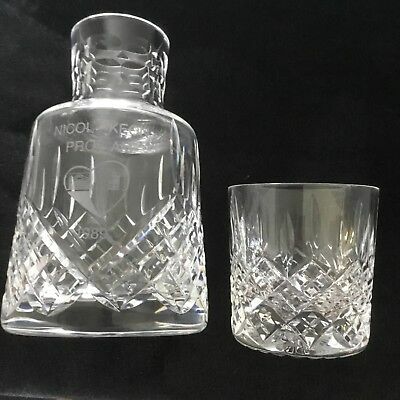 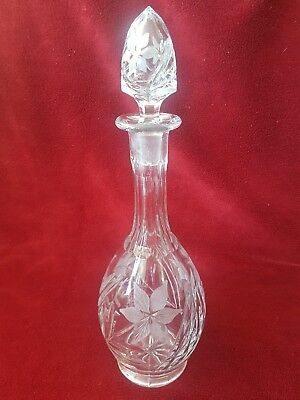 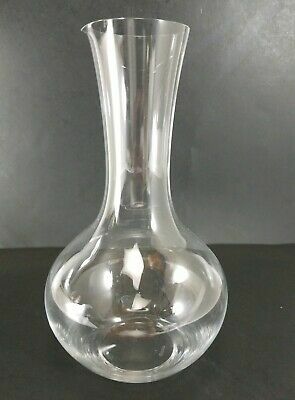 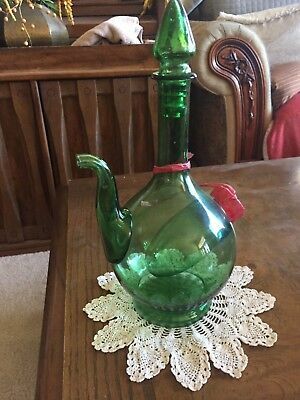 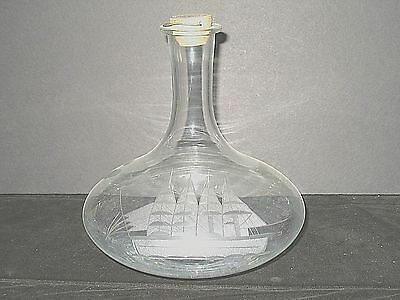 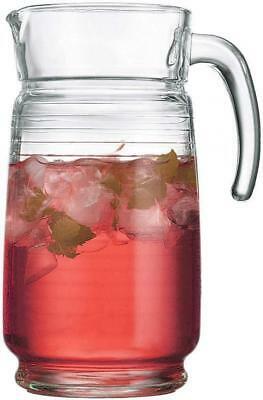 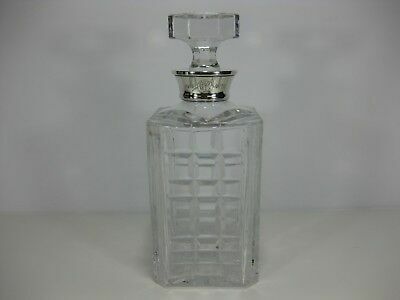 Vintage Handled Glass Beverage Decanter Engraved Roses 15 1/2" 48 oz. 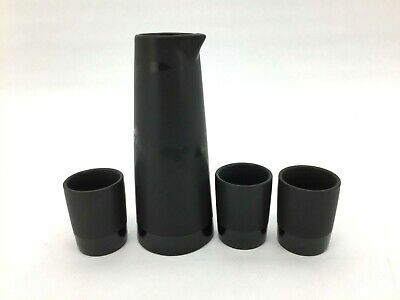 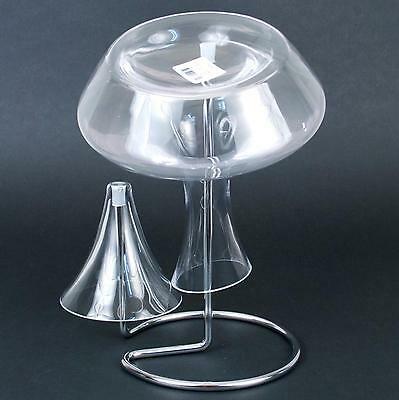 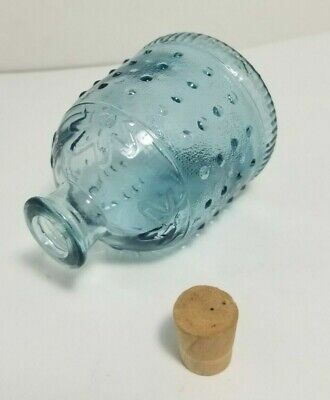 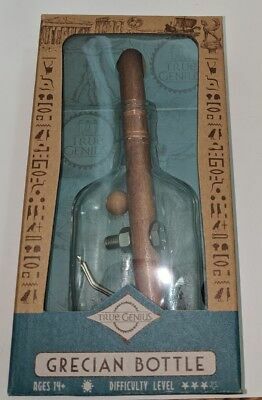 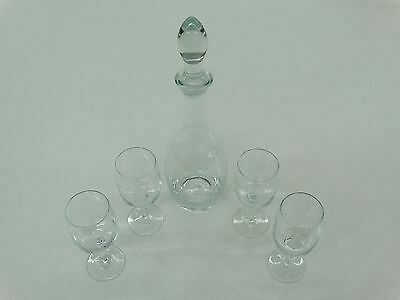 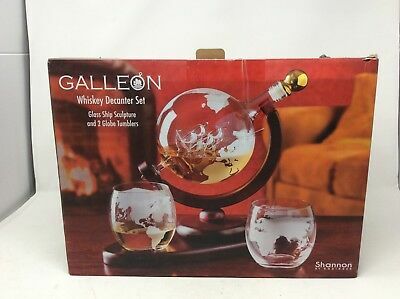 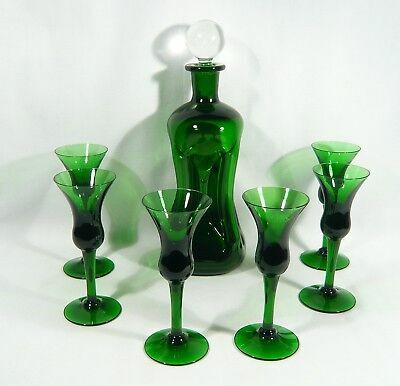 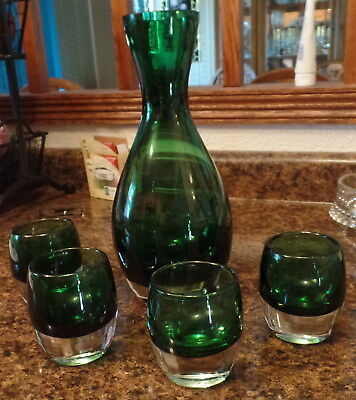 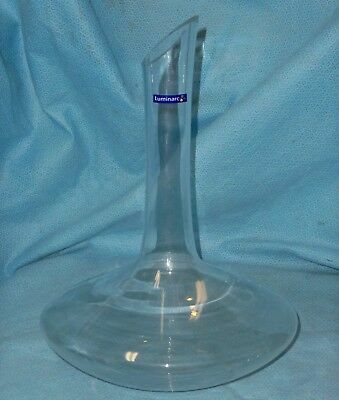 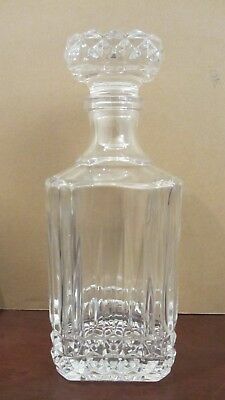 Vintage Glass Decanter With Stopper Pouring Spout Mid Century Barware Tall 13"
Crate and Barrel Wine Decanter with four Stemless Wine Glasses - New in box! 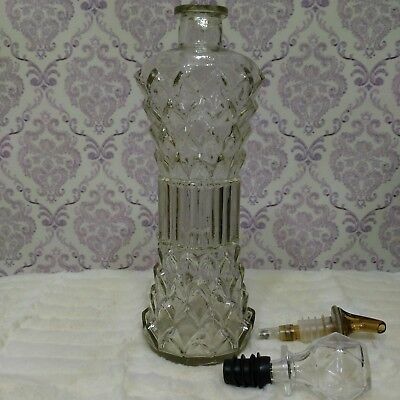 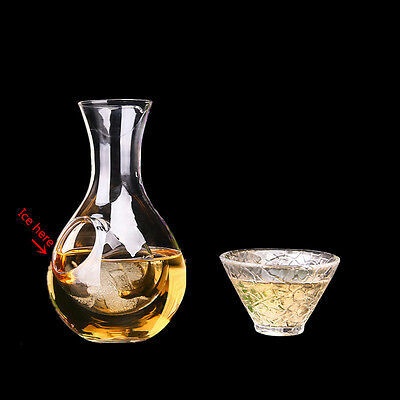 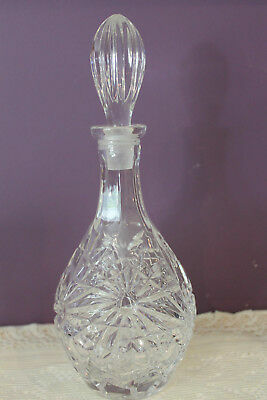 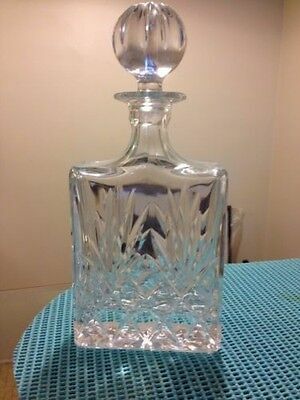 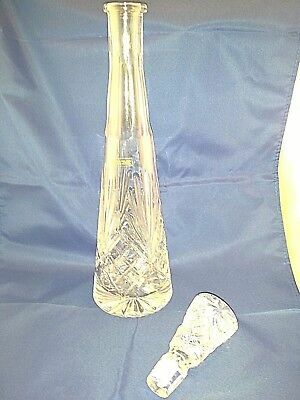 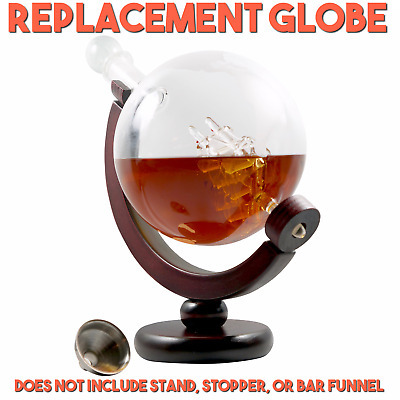 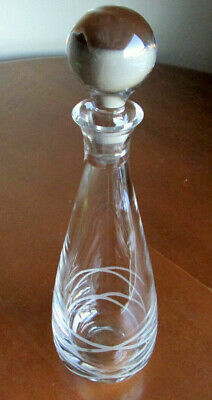 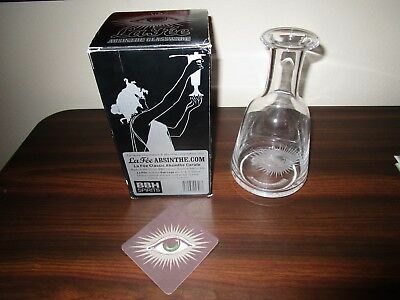 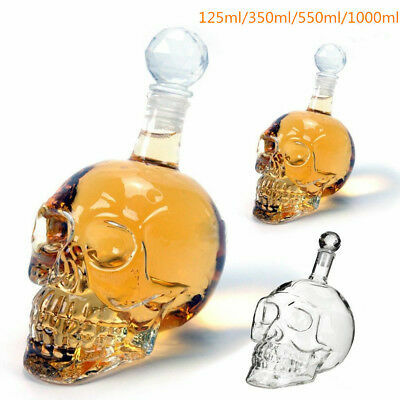 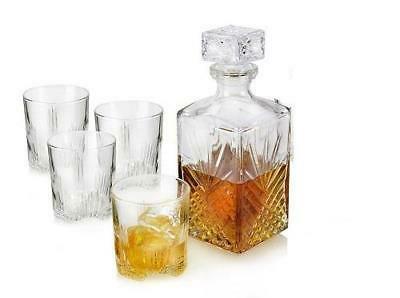 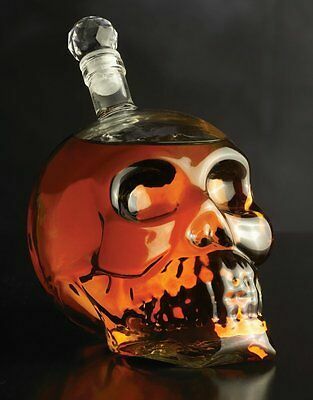 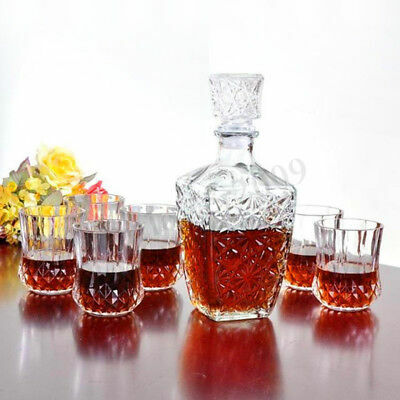 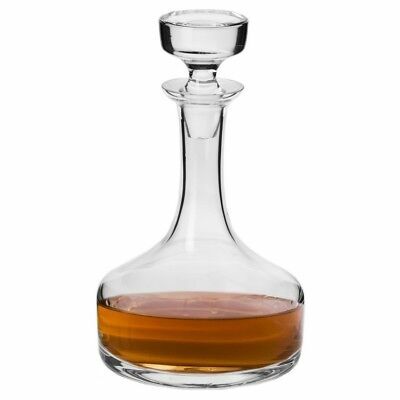 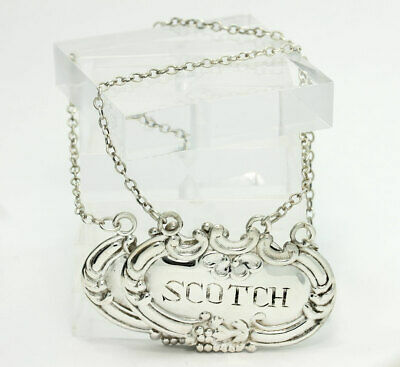 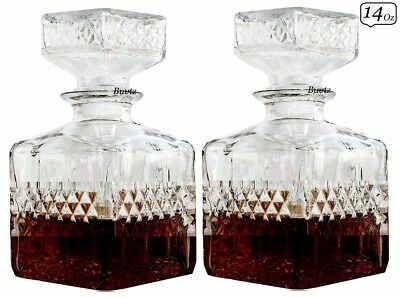 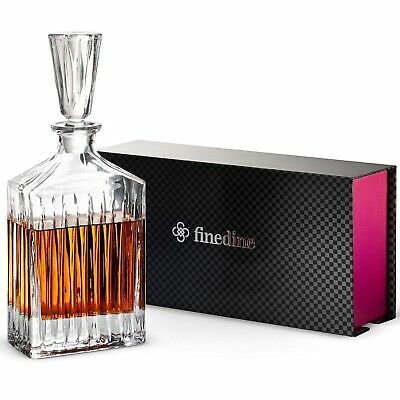 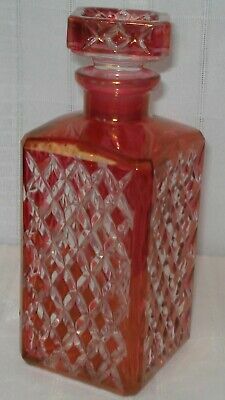 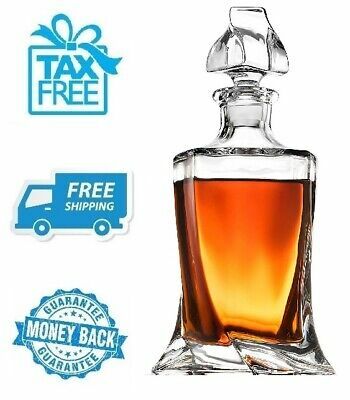 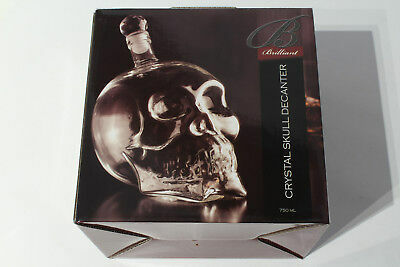 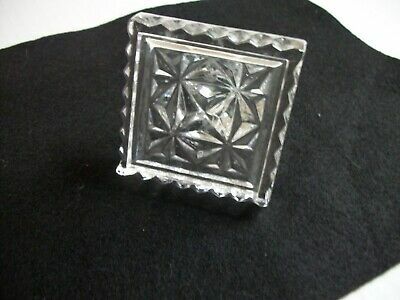 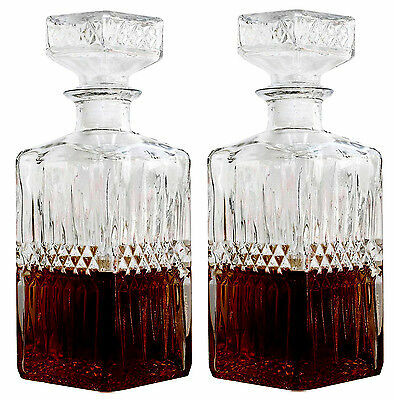 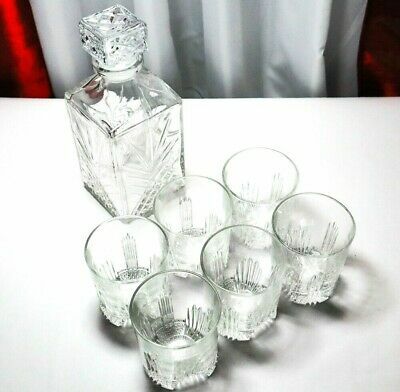 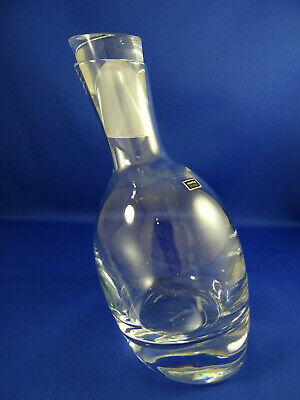 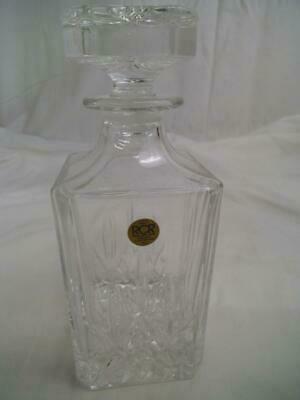 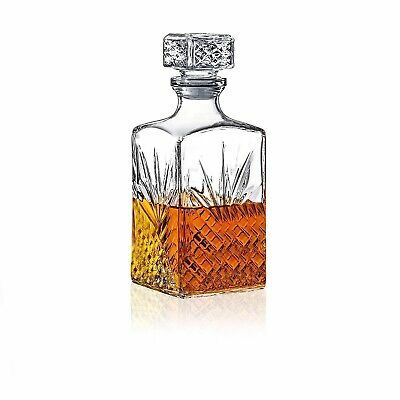 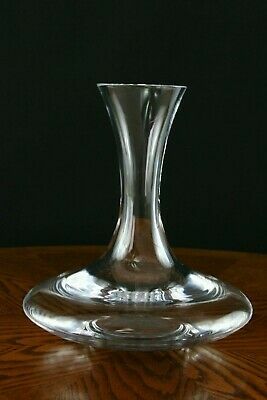 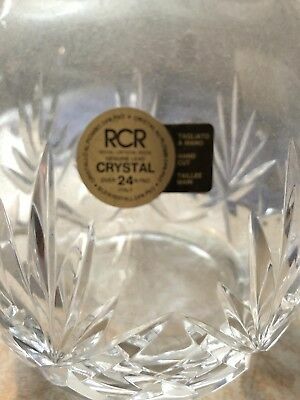 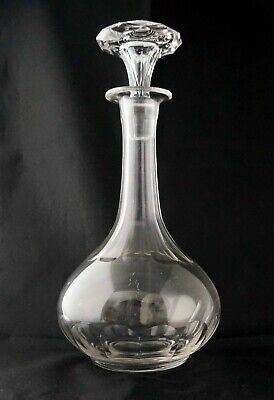 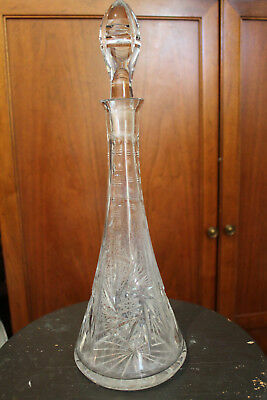 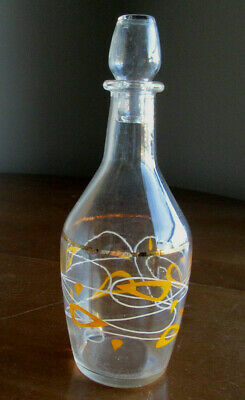 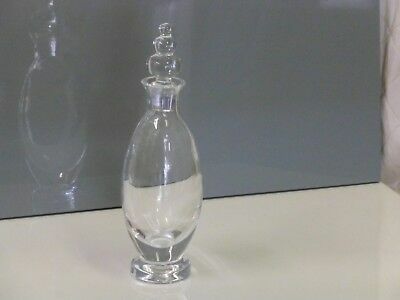 Crystal Whiskey/Liquor Decanter Made In Italy Beautiful! 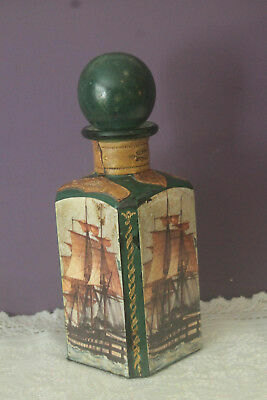 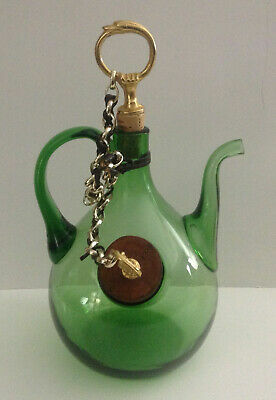 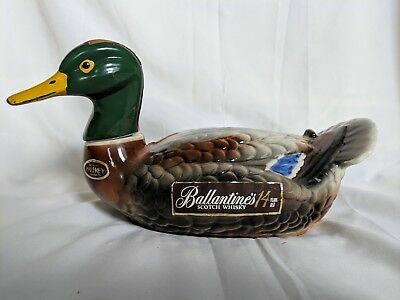 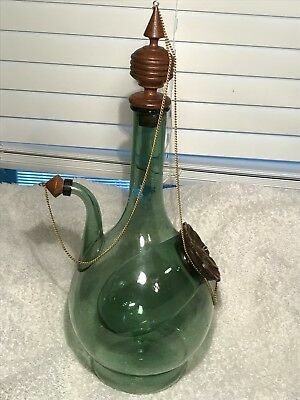 BALLANTINE'S Scotch Whiskey 1969 Mallard Duck Decanter Liquor Bottle.